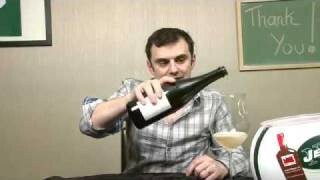 Gary Vaynerchuk tastes two Chardonnays head to head, including a California Chardonnay and a White Burgundy. 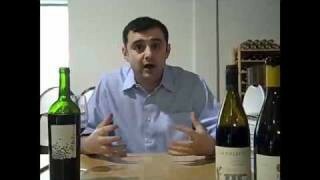 EP 48289 Point Wines, What Is The Deal! Cool Disqus works finally. What was the question of the day? I used to love the big, overstuffed Chards, and in gen., as I don’t buy ’em, could still tolerate a half glass, if I had to. more, if it was HdV, Ramey, et al. I’d had periods where I’d even preffered Santa Barbara (Cottonwood Canyon, 15 years ago), or Carneros, or various subs of Sonoma… as well as all style of French, and other. It’s relatively easy to manipulate into the animal you want it to be. Great versatility, and most people completely overlook a controlled, modest hand in producing light style, nice Chard cause of the clusy name that the big Cali style has made for it self, popular, though it is, I got no problem w/ any of it. Practically, a win/win. in moderation! 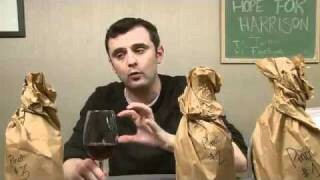 I don’t love Chardonnay but I’m a wine drinker, so I can’t say I don’t drink it. I do love the rare California Chards that exhibit that steely edge, even when oaked, and show pear and other lean exotic fruit with minerals and dough, well-integrated spice and sharp acidity. They are out there. So yes, I prefer the Burgundian style, as with Pinot as well, as a general rule. Some Chardonnays I’ve liked in the past: Jarvis, Pine Ridge Le Petite Clos, Vine Cliff, and the legendary Stony Hill. Agreed. K’s various bottlings don’t strike me as THAT heavily done, in fact, I think quite refined, but still was always a bit put off by allocations, AND the high price. (I came from a control state.) Classic demand/supply. Too many wonderful alternatives to even consider the ‘clout’ of a name, which so many people get stuck on, whether it is theirs, or another. At least, as far a Chard goes. high tier Burgundies, and esp. Chablis being the best exception. But, you must avoid holding a weak year, and I find their optimal window may be 4, or 5, to 8, years, or nine, if you’ve got ,like, more money than God. Your palette is pretty damn impressive though have you considered sniffing coffee beans between sniffy-sniffs? They do a good job wiping out lingering smells while not leaving footprint of their own. That look was priceless, though you were right in the end. Weird blip at the end of the ep. QOTD: I have not bought Burgundy while I’ve been in school, though I frequently buy other Chards when I visit my fam…they’re major Chard drinkers. Every once in a while, I’ll crave something like Kistler, though I prefer the lightly-oaked or unoaked because of the emphasis on the fruit. I would hate see what you look like when the jets loose a game in the dieing seconds! The worried face was PRICELESS!! QOTD: Here’s where I stand on the classic buttered popcorn-and-toasted-oak CA Chardonnays: I actually can appreciate them in the right context. 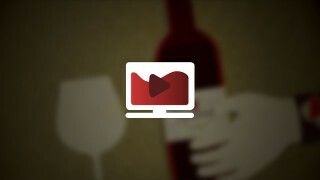 I have to say that this style can work on my palate if a few components align. First an foremost, there MUST be ample acidity. After that, I have to be drinking it by itself, and I have to have the need to just unwind and relax, perhaps after a stressful night at work or a long day of shooting. These are the times that I want to drink a well-made wine, but I need something big without the tannin of a red and is lush enough to coat my palate. Here’s where I actually appreciate a richer, denser, oaked domestic white. Thought you were going down what a great reaction! Nice quick brown bag-LOVE them! ?QOTD: I’m assuming the question was what type of Chardonnay do we like to drink? Totally do not like oakey buttery chards…I’m a white Burgundy kinda gal-have them lately only when they are in a champagne/sparkling (fellow bubblehead)…don’t really drink too many. QOTD: I used to love the heavily oaked, buttery chards, but my palate has changed quite a bit and I really can’t drink them anymore. I’m still enjoying chardonnay, but I prefer either unoaked or very little oak. It’s because you’re officially Lijit! Let us know if you want us to send you our new ones, they’re darker gray! QOTD: Far more Burgundian – crisp, clean, lower TA/higher ph wines for me. Not too much is pretty, but sometimes you know that girl wearing too much is gonna be fun. QOTD: As I prefer my Chard with an oak/butter taste, I was grabbing the car keys to go buy some, when you mentioned the price. I sat back down. Loving the US V world match ups. Dont have time to watch eps during the week so cramming them all into a day on saturday or sunday, which ever I have off. Harvest seems harder this year than last year. P.S. QOTD: lighter stainless steel high acid no ButMalo bombs for me please. Love the US for the world style in the brown bags. I really like 2 wines against each other. Enjoyable and we learn a lot. Was just able to catch up a few episodes. Love the Us vs. Theme. As always just a treat to watch your show. K-Murph is legit. oak and whites fit very well together, but it is all about how to use barrels! 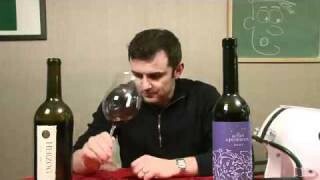 as a thing to add aromas to the wine or as a thing to help the wine mature better!!! QOTD: Lean, clean and balanced Chardonnay, that’s my preference when I’m drinking one. I’ve got 5 bottles of Jason-Stevens 2008 Estate Chardonnay sitting in my rack that are buttery without being oaky. That’s why I bought them. I need to roast a chicken, have some Fettuccine Alfredo and crack a bottle for company sometime soon. Mott, I thought you edited there for a second. I do like both styles. I would rather drink the buttery Chards by themselves, maybe as an Aperitif, and like the Burgundian styles (as with most old worlders) with food, esp. seafood. QOTD: There definitely is a time and place for the super buttery and oaky Chardonnay, but almost always would prefer something not so “done up”. Love the makeup analogy you use a lot Gary. Also, with food it is usually not a such a good option, unless the acid it there to balance it out – and in those cases you are usually talking about a pricey bottle of wine. I’m really glad you did not lose your bet or we would not be watching WLTV. 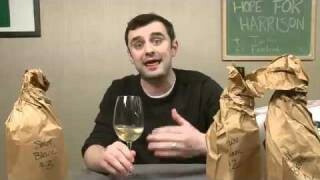 QOTD – I much prefer the chardonnays that are not buttery. I prefer more acid in my white wines. QOTD: My husband likes the oak and butter style and I prefer little to no oak with my chardonnay. We mix it up and all is good. I bought some oaky chardonnays on Oct 1 from the PA Chairman’s Selection close-out sale. Last years goods were reduced. God doesn’t need money…His “cred” is good. Thanks for this reaction of yours! Nice little show. Gary, nice job on color alone. I have to say that when I saw the episode title, I knew that the French chardonnay would win. 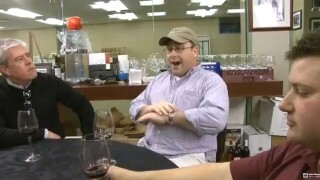 KMurph should have done an unoaked Cali chard versus a Chablis or something like that. GV, you weren’t even challenged by this one. 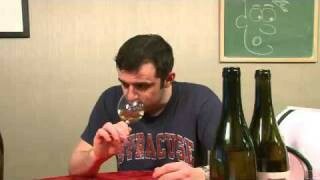 QOTD: I categorically HATE the buttery, oaky chardonnays from anywhere. Give me a Chablis any time. hi gary–you are speeding to 1,000 but the episodes are coming in too short on time! I am a fan of the French Chardonnay’s. 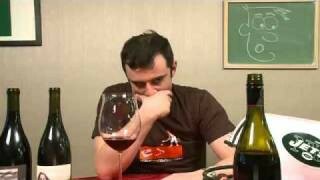 I am not a fan of the heavily oaked Chardonnay’s from California. That is the style my wife likes. I like Chablis style chardonnay though I enjoy white burgundies as well. INteresting. Glad you were right. I love watching WLTV!!! QOTD: I think I might know my chard pallete better in about 8 more months. I have had a bottle of Chateua Montelana waiting for over a year now. Waiting for my wife to have our 2nd and be finished nursing. So then I will have had a “good” cali chard, and a “good” FR chard. I am thinking I will still be an old world fan after all this though. Both styles have their place holmes! The Ramey Hyde Vineyard 2007 is just a glass of hedonism. The burgs throw all kinds of nuance and thats nice too. Depends on the mood and the food.